Recently I’ve received some interesting feedback concerning a couple of postings on elvis-history-blog.com, so this week I’ve decided to share excerpts from them. We’ll start with David, who responded at length to my point-counterpoint discussion about Colonel Parker with another reader in this space three weeks ago. Using the same format of that exchange, I’ll let David have his say and then counter with my response. 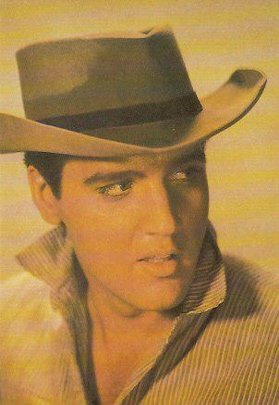 David: On the subject of Elvis’s movie career, I believe that if Parker had pushed for the supporting role in “The Rainmaker” for Elvis’s first movie, his entire career would have been different. Parker was the one who picked “Love Me Tender” (because of the $100K salary), and who agreed to include 4 songs to appeal to the teenage market. 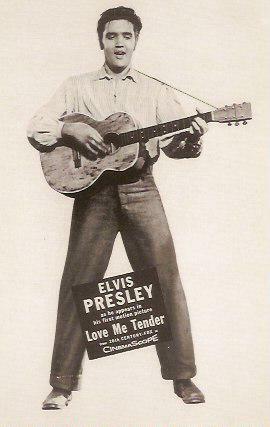 The teenagers saw Elvis on screen singing, and bought the records, which led to a successful film (moneywise), which led to more of the same roles. Then by the time he had a serious movie, like “Flaming Star,” fans weren’t used to that. I think that if “Flaming Star” had been a hit, it wouldn’t have mattered anyway. There was more money in the musicals. The films promoted the records, which promoted the films. The thing Parker couldn’t see was more doesn’t mean better. David: In the 1950s, there was serious doubt that Elvis’s music career would last, that he was just a flash in the pan. So it seems to me that Parker, knowing that, would have wanted to make sure Elvis maintained a separate, distinct career in the event that rock ’n’ roll did die out. That way he would still have money coming in. A role in a film such as “The Rainmaker,” surrounded by stars of the caliber of Burt Lancaster and Katherine Hepburn, surely would have jumpstarted his movie career and led to other serious and more important films. If Parker had insisted on no music whatsoever in his early films, what kind of career would he have had? I have read that Parker turned down roles in films such as “Thunder Road,” “A Walk on the Wild Side,” “West Side Story,” “Sweet Bird of Youth,” “Your Cheating Heart,” “Valley of the Dolls,” “Midnight Cowboy,” “True Grit,” and “A Star Is Born.” What a film career that would have been! Alan: As disappointing as Elvis’s Hollywood career was to many of his fans, the fact is that all his films made a profit, so the money continued to come in from them throughout the sixties. There was only one person who could have insisted on a dramatic acting career for Elvis, and that was Elvis himself. To do so, though, Elvis would have had to take considerable less money for his film work, and I don’t think he was ever willing to do that. In my judgment, despite a few flashes of brilliance, Elvis Presley simply did not have the natural talent to be a first-rate dramatic actor. In the films you mentioned, it’s doubtful Elvis could have played the leading roles with the same impact that Burt Lancaster, Robert Mitchum, Paul Newman, and Dustin Hoffman did. And God forbid Elvis had appeared in “Valley of the Dolls.” That horrid film ended several Hollywood careers, and it might have ended Elvis’s, too, had he been in it! David: The odd thing about Parker’s management is why he changed tactics from the 1950s. You would think that along with movies, he would continue with television appearances, touring, and even international tours. Since Parker couldn’t leave the country, he could have had Diskin take him abroad. It wouldn’t have been that difficult. Pay Esposito a bonus to stay with Elvis 24 hours a day on tour and not let anyone alone with him. Call Parker every day, or twice a day to stay in touch and let him maintain control. Alan: The reason Parker didn’t book Elvis abroad was simple. Money. Why go to the expense of going overseas when you can fill up arenas night after night in the U.S.? Again, Elvis should have insisted on a European tour if it was as important to him as he often said. The other feedback I received came from Ron, who reacted—make that “over” reacted— to my archived blog on Elvis’s #1 record total on Billboard magazine’s “Top 100” and “Hot 100” singles charts. Ron: If you said that Elvis had only 14 #1s, you are dead wrong all day long. You must be a left wing nut case. This is the kind of thing people read and get misinformed. And your web site is doing just that. You are wrong, wrong, wrong, and wrong again if you open your mouth and say anything different. By the time you get done writing about Elvis, he will only be a footnote in music history. Get your facts straight before you write. Don’t be like the NY Times. You should be ashamed of yourself for writing such junk about Elvis. Oh, by the way, thanks for your time and reading this. Hope you have learned something, but I doubt it. Have a good day. Alan: Well … I could try to reason with Ron, but I doubt it would do any good. I am humbled, however, by his assertion that this blog has the power to single-handedly wipe the legacy of Elvis Presley from the pages of history!